A Light Rigid Licence will let you drive small trucks. These include minibuses, coaches and light trucks that are more than 4.5 tonne GVM and less than 8 tonne GVM. Getting your Light Rigid Licence in Queensland will allow you to drive a bus with more than 12 seats. You can also tow a trailer of up to 9 tonne GVM. If you have a car licence, the step up to a Light Rigid Licence is not huge and is a less daunting first step to a heavy vehicle licence. This type of licence certification will open up the number of vehicles you are allowed to drive on the road. Common vehicles for which you will require a Light Rigid Licence for include. 25 seat Busses – Coaster or Rosa busses being the most common. 13 seat vans – Toyota’s Hiace being a prime example. Small Trucks – Deliver trucks designed to carry a small load. Motor Homes – Many motor homes fall into the light rigid category. There are a number of jobs that will require you to have a Light Rigid Licence or for you to obtain one. 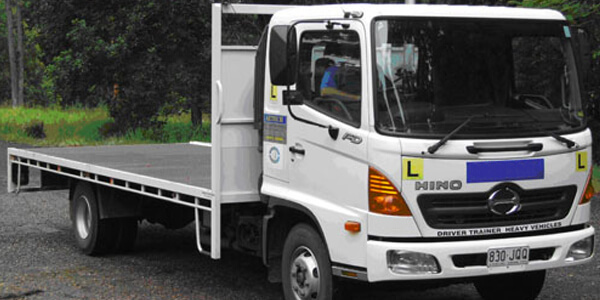 If you would like to have more flexibility, Burleigh Driver Training School suggests that you obtain a Medium Rigid or Heavy Rigid Licence as it will provide you a greater job opportunities with a boarder range of vehicles you can drive. To know more about this type of licence follow our MR Licence and HR Licence page. Our Medium Rigid Truck is easy to drive and is approximately the same length, as the most common Light Rigid vehicle that you see regularly on the road being a Coaster Bus.